If you have a private driveway and a snowy winter, then you have a full-time job keeping it cleared. 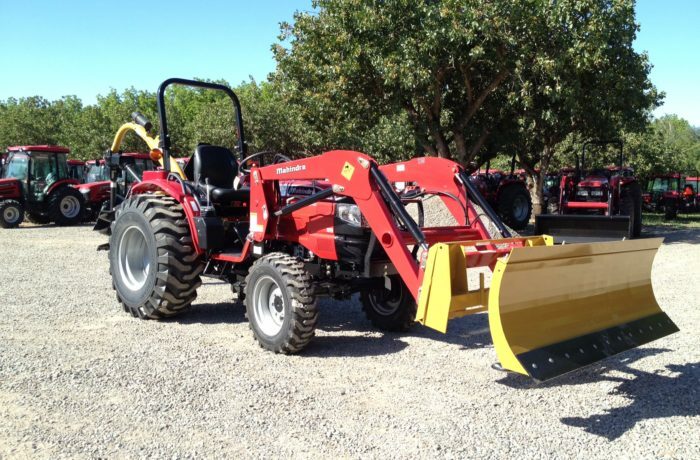 A front-mounted snow blade is a great way to turn your tractor into a snow moving machine. The blade has angle adjustment options so you can push snow off to the side of the road. With skid steer style quick attach mount, you can drop your normal bucket and hook into the snow blade in a matter of seconds!